Renovate America, Inc is an American provider of of financial solutions for homes and communities based in San Diego, CA. Renovate America was founded in 2008. HERO offers an innovative financing solution for home efficiency upgrades, with payments made along with your property taxes. Benji offers simple, flexible financing for almost any home improvement, with competitive rates, flexible plans, and special financing options. 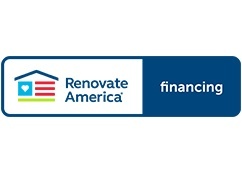 Renovate America is a leader in PV solar financing, but is financing through Renovate America right for you?